2018 was the year of mini breaks: trips lasting one to three days. Low on budget and time, I found myself having to choose between no trips and micro trips. For somebody who finds 2-week trips short, I surprisingly enjoyed these bite-sized escapades. Throw in the fact that all these trips were very last minute, and improvised on the go, and it rings true that travel does teach you a lot about yourself; I never imagined travelling in a “chaotic” manner, and yet I did. 2019 is luring me with a lot of promises. I’m ready to move on from my brief romance with brief trips, but nonetheless, happy at having learnt about new ways to keep my travel spark burning. This old favourite never disappoints, easily leaving me refreshed in just a few hours. I didn’t even have to wait until I reached Kabini for the excitement to set in…just packing my jungle clothes for the trip melted those blues like nothing else. Add in some safaris with knowledgeable naturalists, the tranquillity of the forest, and a quick digital detox, and I returned ready to dive back into routine. On my wish-list for over a decade. Finally, plans fall into place. A cyclone threat looms large. My car breaks down. I almost return home. Decide to go ahead without my car. The cyclone passes, but not before giving Tranquebar a good wash. I traipse around town with my umbrella, in the rain. Enough said. 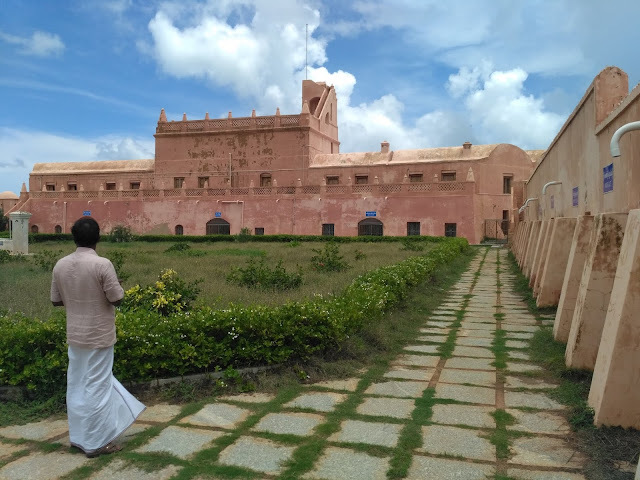 It’s hard to believe that I had a great time in spite of all this, but that’s the charm of Tranquebar. 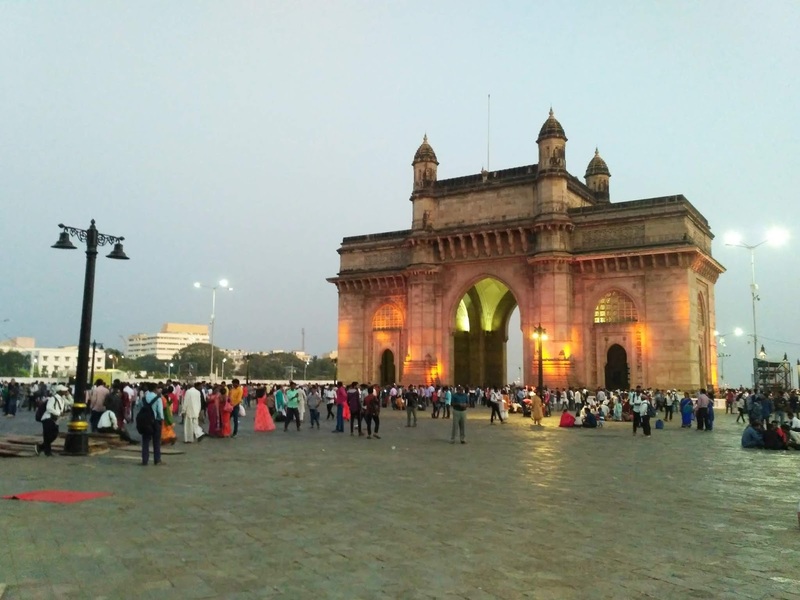 Visiting home in December—the season that’s as cold as Mumbai can ever get—I capitalised on the good weather to go on rambles and guided walks in South Bombay, or “town”, as we call it. Of course, taking the hubby to discover more Irani Cafes was on the menu, as was the hunt for the best Undhiyu, a Gujarati winter speciality that’s my favourite. We ended up deviating for some butter chicken along the way, but the fragrance of Undhiyu finally led us to culinary heaven. A reluctant visit to attend a family function turned into the perfect way to sign off 2018. 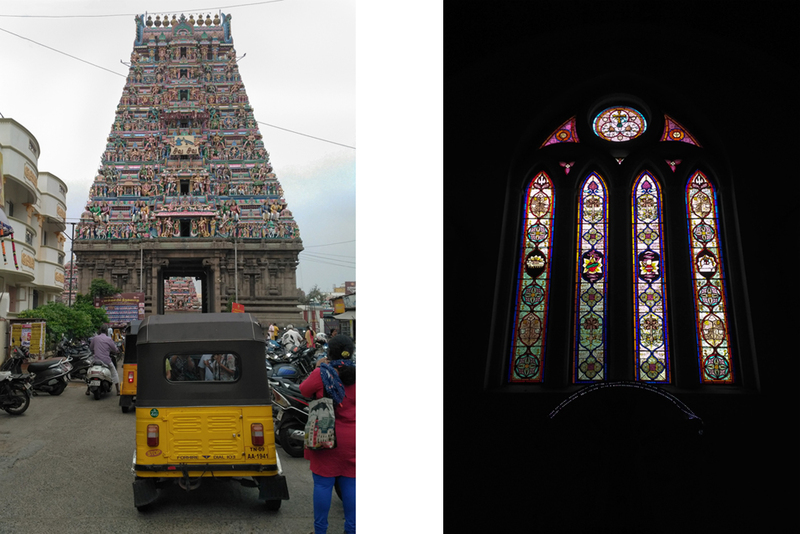 I am slowly discovering fun and exciting facets of Chennai, and a guided walk around traditional Mylapore kick-started my first staycation. Shocking relatives by checking into a hotel instead of staying with them was just the beginning of an exciting weekend. After a room upgrade in a heritage hotel, some truly fabulous food, attentive and personalised service, and lots of ‘nothing time’, I understood why staycations have been gaining popularity. Collaborations are always exciting! Which is why, an offer to create and conduct a travel writing workshop for WEVID, whose workshops aim at addressing the evolving demands of the design industry, was too tempting to pass up. The widespread popularity of travel has created an enormous platform for swapping stories. Images and words are powerful tools to share your travel experiences with family and friends. The sheer number of travel blogs has also meant that stories get easily lost in the crowd. 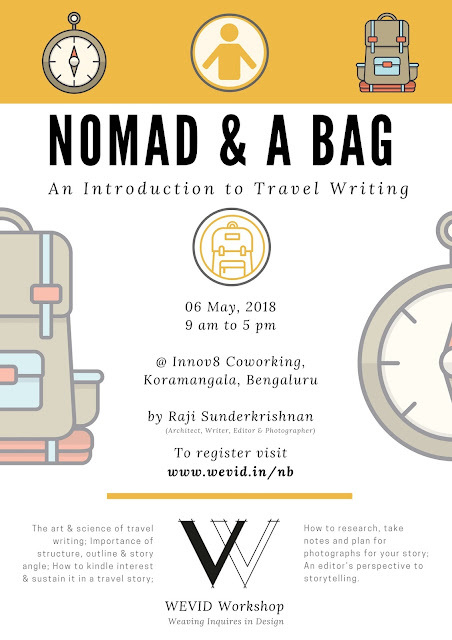 This workshop offers an introduction to travel writing to those who want their storytelling to stand out, and will help participants write well-crafted and engaging stories that go beyond being just another trip report or blog post. In the age of Instagram and hashtags, long-form writing that sustains interest is challenging. This program aims to fill that gap. 2017 brought me my leanest travel year since I began active travelling ten years ago! Work and family commitments took centre-stage, leaving me rooted to home. I did miss the sense of excitement and discovery that travel brings, and I often found myself browsing through old trips’ photos for some armchair travel and nostalgia. The road-trip to northern Karnataka in Jan 2017 was special, because I have finally seen all the distinct regions of Karnataka, where I have been living for almost 14 years now. Karnataka’s diversity in landscapes, wildlife, culture, art, architecture, and food have given me many fond memories and enriching experiences over the years. Though I have no travel planned for 2018, I am optimistically looking forward to the year! This region had been on my wish-list for a long time, as it promised to be different from Karnataka’s other zones. North Karnataka’s close proximity to Maharashtra and erstwhile Andhra Pradesh has led to its unique culture, food, language and clothing. 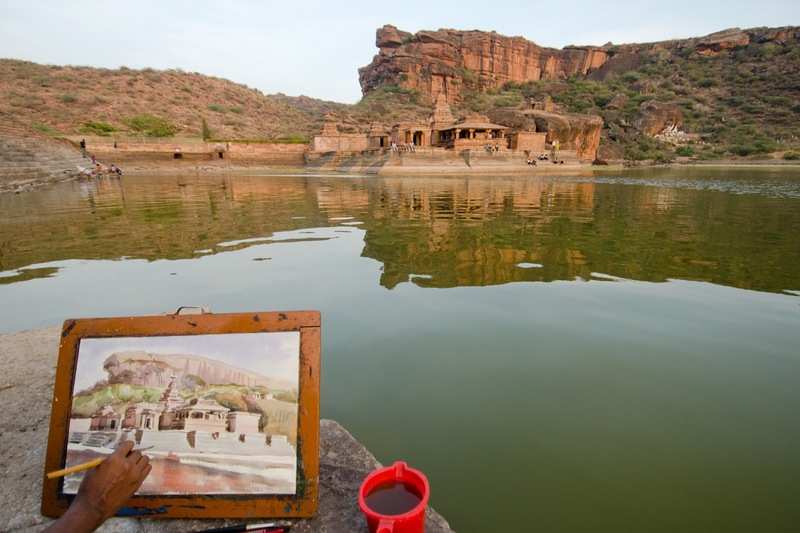 The region is also filled to the brim with a rich architectural heritage of diverse styles. The 10 days we spent in Bidar-Bijapur-Badami-Pattadakal-Aihole left me craving for more; so did the mouthwatering local food at khanavalis, traditional eateries in the region. A serendipitous addition to our itinerary, Hyderabad fell into place because we decided to access Bidar - the starting point of our North Karnataka road trip - via Hyderabad, as that seemed to be the best route. Although a short break, we were able to enjoy a fair slice of the city’s culinary treasures. I have visited Hyderabad before, and am vaguely familiar with its tourist attractions, which we decided to skip this time. 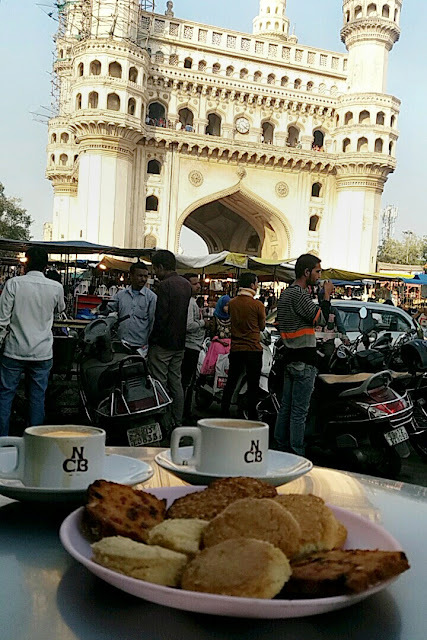 With my cousin (who lives in the city) in tow, we spent a couple of days feasting on Hyderabad’s well-known as well as little-known culinary delights ranging from the very fiery to extremely sweet. And of course, copious cups of Suleimani chai and an assortment of breads and biscuits. Irani chai & an assortment of biscuits at Nimrah Cafe, by the Charminar. An unedited version of my story published in the Nov-Dec 2017 edition of asiaSpa India. I should have been distressed, but I wasn’t. I should have moped, but I didn’t. 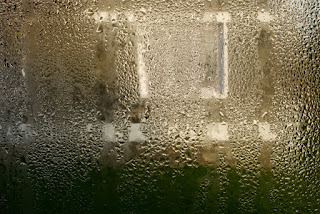 I continued sipping my hot chocolate as though nothing had happened, staring expectantly through the foggy window for signs of that magical swoosh of green, the Aurora Borealis. Worried about my lack of reaction to the news, my husband proceeded to console me by saying that he was hopeful about the storm not setting in the next day. I cheerfully told him that we should turn back as advised, halfway into our road-trip around Iceland - the trip I had meticulously planned, the trip that was all I could talk and dream about since six months, the trip that was so expensive that I felt pangs of guilt in spite of having painstakingly saved up for it. That night, we were the only guests at a cosy wooden inn at Breiddalsvik, a small fishing town in Iceland’s craggy East Fjords. For that matter, in the week we had spent driving from Reykjavik - Iceland’s capital - to Breiddalsvik, we had been the only guests everywhere. 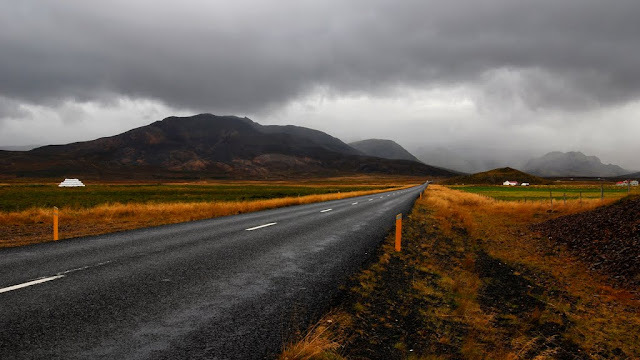 I am not exaggerating for effect – we were literally the only two people on the road at most times, barring at Reykjavik, home to almost half of Iceland’s minuscule population. In October, at the onset of winter, the weather in Iceland is at its most tempestuous. So when the locals at Breiddalsvik told us that a ‘don’t travel for a few days’ warning had just been issued because of a storm brewing all along our route, we knew it was prudent to turn back. That was a huge blow, but why wasn’t I upset? The answer surprised me. Shorn of creature comforts like luxury accommodation, local cuisine (being a vegetarian limited me) and ‘branded’ shopping, which sometimes tend to define a travel experience, Iceland had helped me discover what was important to me. I learnt to live in the moment, without a plan - quite a challenge for someone who likes to be on top of things. My definition of well-being changed; I realised that feeling alive and happy could result from just a consciousness of the world, my surroundings, and its wonders, including undesirable ones like the impending storm. A week ago, a day after I arrived in Iceland, the Snaefellsnes Peninsula welcomed me with howling wind that rattled our parked SUV like a cradle. Overcome by fear, I sat clutching the car door until my knuckles hurt. 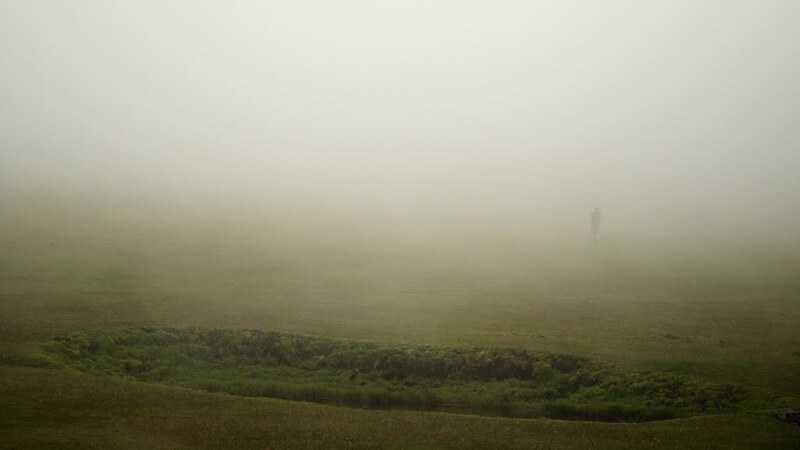 Our guide had already descended to the bottom of the hillock, and gesticulated wildly, beckoning me to join him. Mustering up all my courage, I stepped out into the 25 mps (90 kmph) wind, the warning for which blinked on the digital display by the roadside, and had prompted us to stop driving until it subsided. I quickly wobbled down the slope. 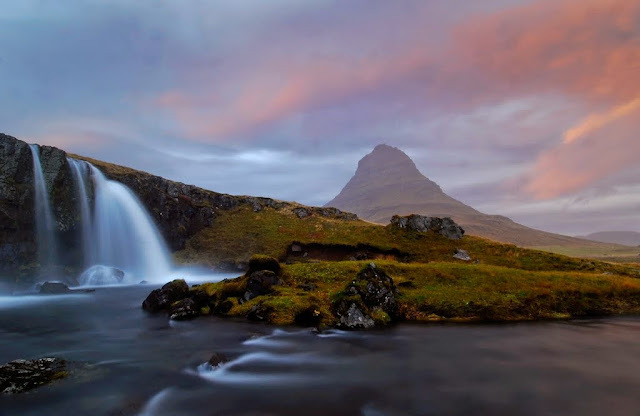 There, sheltered from the wind by the rocky drop, I gaped at the deceptively tranquil sight before me: Kirkjufell, with its small cascading waterfalls. The hill Kirkjufell, with the waterfall Kirkjufellsfoss in the foreground. As the adrenaline coursing through me slowly mellowed, and my heart ceased to thump wildly, I wondered whether the threat of danger made one feel alive. The epiphany came yet another day, when I walked the slippery slopes of a glacier, with crampons strapped on, every step calculated and purposeful, avoiding crevasses and thin ice. In spite of the intense concentration, my mind registered both the sheer expanse of the glacier as well as the delicacy of the lace-like patterns on patches of frozen ice. Yes, the threat of danger had indeed made me pay closer attention to my every movement, and details of the landscape, which may have otherwise gone unnoticed. The summit of the glacier Svinafellsjokull. Iceland took me out of my comfort zone, challenged me to rely on cues given by nature, and reinforced my belief in goodness. A fairly egalitarian society; the refusal to have an army; the rental company asking me to leave my car with its doors unlocked and the keys inside so that they could pick it up; museums refusing to charge us for our second visit because they said they noticed how much time we spent appreciating each exhibit - through large doses of pragmatism and visual poetry, Iceland reassured me that a lot is well with the world. Bobbing in the hypnotic blue water of the Blue Lagoon, a geothermal spa, images from the road-trip flashed before my eyes. Geysers, bubbling soil, volcanoes, lava fields, craters, glaciers, icebergs, auroras, and fjords - phenomena that had merely been words, were now memories. To be in the lagoon’s warm water while the land around was in winter’s grip was a surreal experience. Slathering some mineral-rich mud on my face, I floated to the bar for a drink, happy that driving back had given us more time to spend at the same places, as well as a chance to meet those who had waved us goodbye days earlier. Our promise of returning another day had come true, albeit sooner than expected. 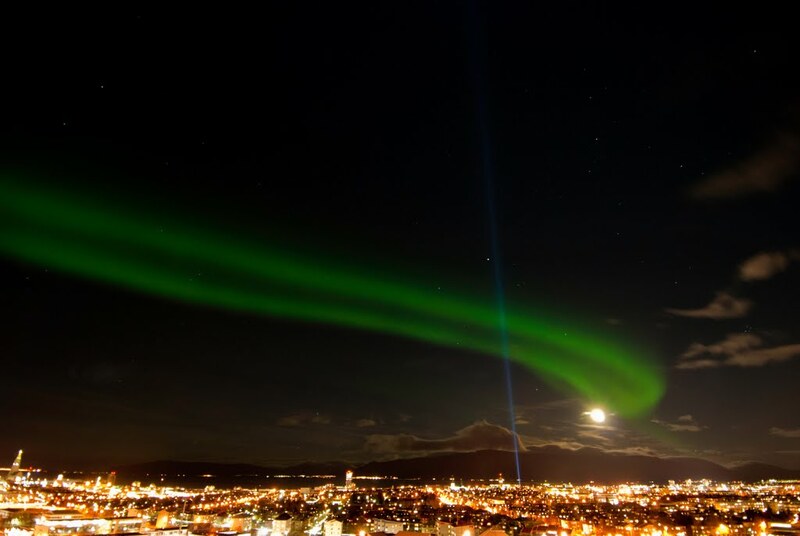 The Aurora Borealis (northern lights) over Reykjavik. The blue 'Imagine Peace' light, conceptualised by John Lennon’s wife Yoko Ono, is lit every night from his birthday in October until the day he was shot in December. 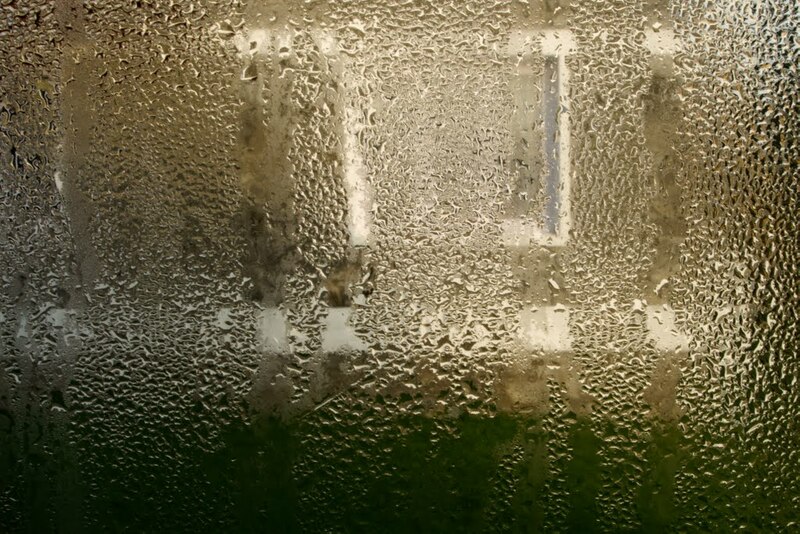 We were hunched over next to the kitchen building, unmindful of the water dripping over our heads from a water tank which had just overflown, peering in amazement at the gigantic reddish growth in the ground. Was it a flower? A fruit? A vegetable, perhaps? It looked not unlike a cabbage. We had no immediate answers, and the staff said that nothing like this had ever sprouted before. Lying prostrate before the wondrous object, I could see beetles and ants move along the sinuous folds of the reddish bulb, and between the cabbage-like leaves at its base, emerging coated with fine, yellow pollen. 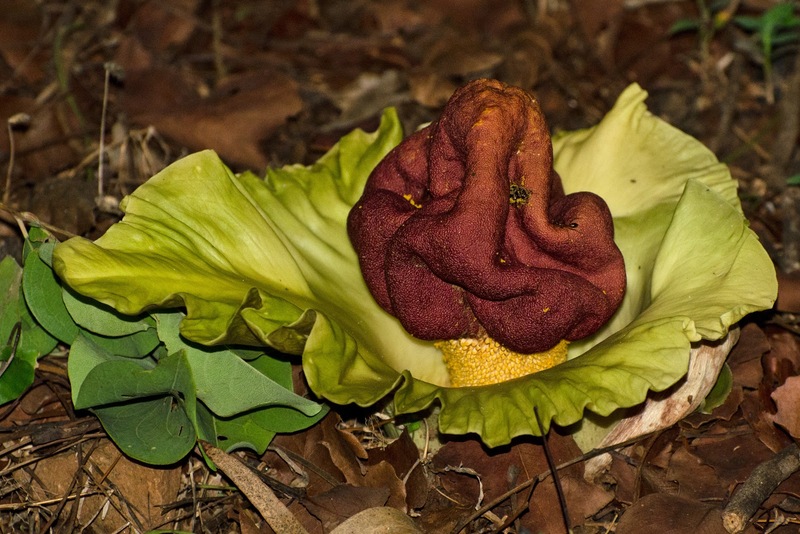 I soon discovered that I had seen the flower of an Amorphophallus sp. for the first time. When I decided to visit Sakrebyle, I had no expectations other than that I wanted to get away from the city for some quiet time. There isn’t much to ‘see’ or ‘do’ in Sakrebyle, and that suited me just fine. 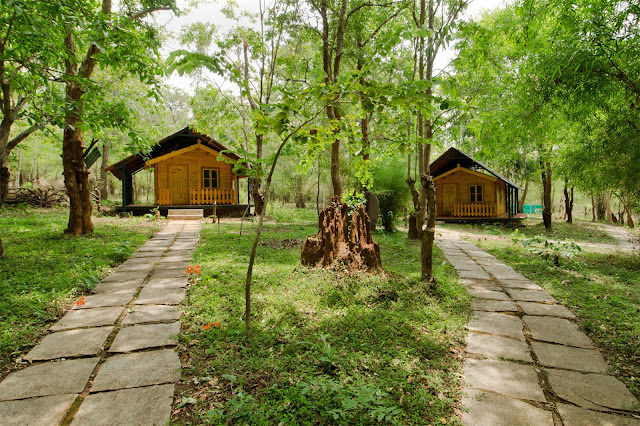 A modestly sized campus, this Jungle Lodges’ property is a relative newbie, offering cosy log cabins across the road from Sakrebyle’s famous Elephant Camp. 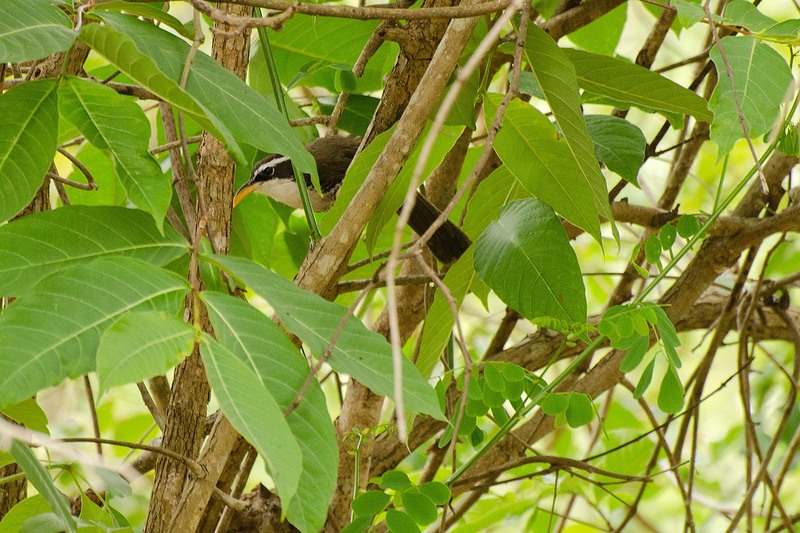 The smallness of the campus ensures that a holiday here is peaceful, barring the bird-calls that resound from bamboo groves at the edge of the property. Allowing for backyard birding (literally), the property’s bird-bath offers birds some much-sought-after respite from the afternoon sun, while you sit behind a screen and enjoy their antics and birdsong. 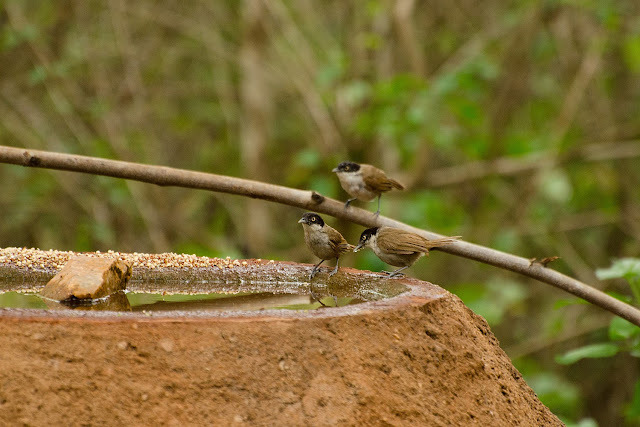 Even the shy Indian Pitta is said to be a visitor to this bird-bath, as is the Yellow-browed Bulbul, a Western Ghats endemic. Dark-fronted Babblers, which are endemic to the Western Ghats. The on-campus flora is home to various butterflies, bees, beetles and other insects, and the resident naturalists are only too happy to take you on a nature walk. 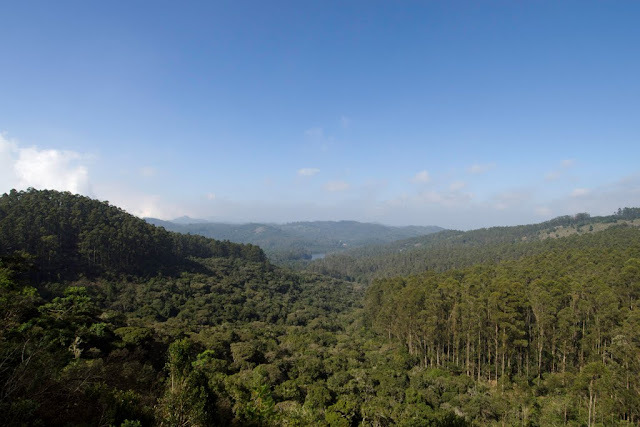 Some of these nature trails are longer hikes through the surrounding Shettihalli Wildlife Sanctuary, weaving though a mix of dense canopies, shrub-land and grasslands. Along one of these trails, I spotted a lifer, a Drongo-cuckoo, and was engrossed in observing it. The sudden trumpet of an elephant from behind us had me scramble away, briskly walking all the way back to the property. 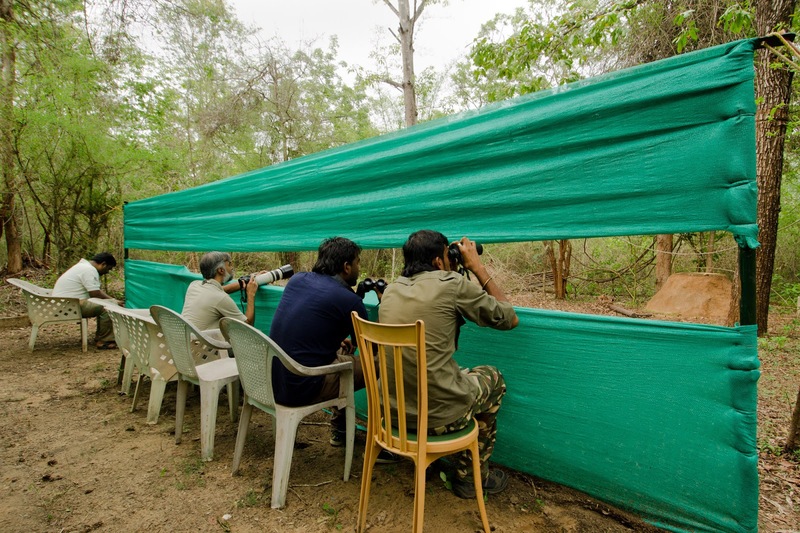 While having breakfast soon after, we saw the elephant emerge from the trail, a mahout astride it, and realised that it was a camp elephant. The aforementioned ‘Sakrebyle Elephant Camp’ is located across the road from the Jungle Lodges’ property, on the banks of the Tunga River. Housing elephants which have been captured or born in captivity, some of them undergoing treatments for injuries, the elephant camp is fairly popular with visitors to the Shimoga region, especially with children. Watching the pachyderms being scrubbed clean in the river, sometimes playfully squirting their mahouts, I was left to deal with mixed emotions. 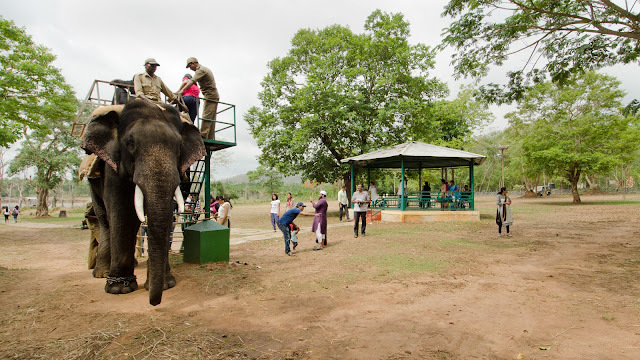 However, understanding that matters cannot be looked at as starkly black or white, I ambled around the small camp, watching visitors interact with the elephants, sometimes apprehensive, but then, reassured by the mahouts, always enjoying the experience. 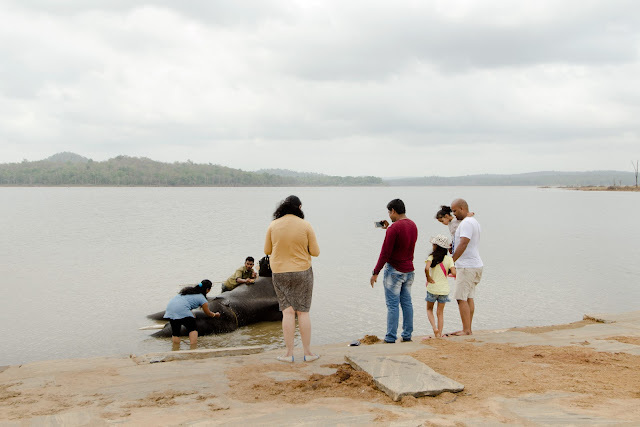 Having emerged from the river, the elephants were now being oiled to keep them cool, even as their food was being prepared. 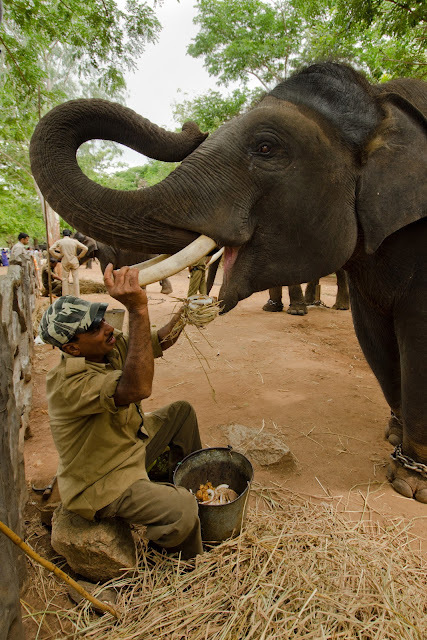 They are fed in an interesting way – chunks of coconut flesh and jaggery are wrapped into a bundle using hay, which the giants gleefully devour. A few of the youngest elephants were play-fighting and chasing each other, only to be firmly nudged by an adult if they got too boisterous. 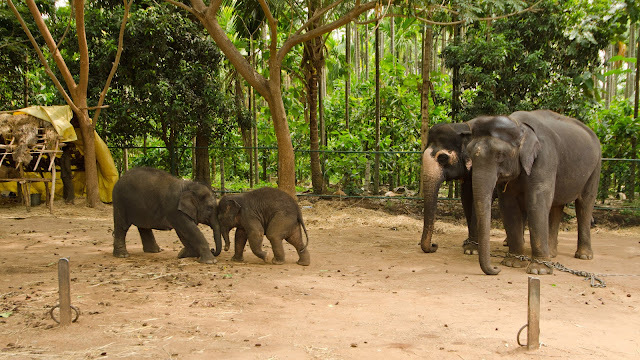 With this playful sight as my parting memory, as I turned to leave, a loud trumpet from one of the young elephants made me jump a little. Just as an elephant’s trumpet had marked the beginning of my trip to Sakrebyle, this trumpet signalled the end of my short but memorable time in the land of elephants. I spent all of 2016 wishing I could travel more, and feeling that I hadn’t travelled much. Penning these travel memories down has made me realise that I have indeed travelled a fair bit this year, and a few trips had actually just slipped under my radar because they were disguised as ‘work’ or ‘wedding trips’ or ‘just going home’. I visited many cities and metropolises this year, something I don’t do too often, as I seek tranquil places most of the time. 2015’s food theme did continue strong this year. I also managed to visit places that had been on my travel wish-list since many years, some literally since my childhood! To top it all, I finally set foot in the northern Himalayas, having only travelled to the eastern Himalayas before. What more can I say? I’m ending 2016 on a cheerful and nostalgic note! Here's hoping that 2017 brings this beautiful world of ours some much-needed happiness and peace. A last minute travel plan to a national park which is notorious for being booked out months in advance should logically never work out; fortuitously, it did! Though my late booking meant that my safaris weren’t in any of the zones with Ranthambore’s famous monuments, or even the Rajbagh Lake, this trip gave me a fair idea of the forest’s unique topography. 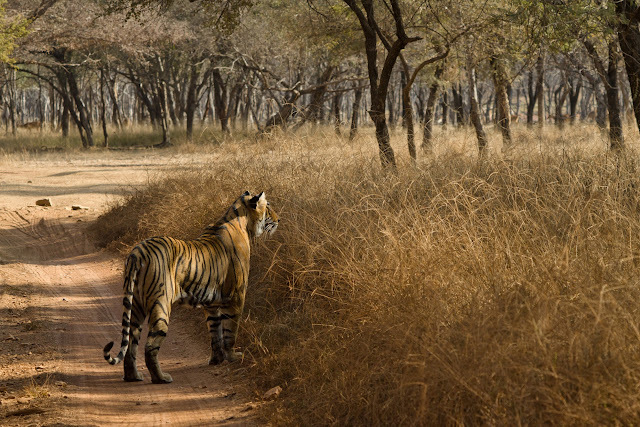 And I did see one of Ranthambore’s gorgeous tigresses. When wildlife tours to Bharatpur were called 'Magical Bharatpur', I dismissed the description as just another tagline. Having visited Bharatpur now, I can vouch for the magic, and can say that 'magical' doesn't do the place enough justice. 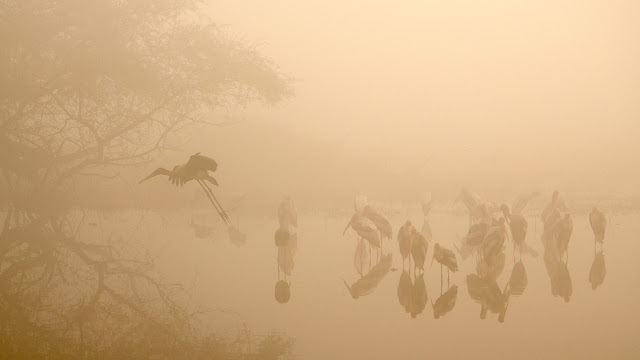 Beginning each of my three days with foggy rides in cycle-rickshaws at dawn, and ending them with multi-coloured sunsets, there wasn’t a dull moment spent at the Keoladeo Ghana National Park. For me, the highlight of the trip was witnessing an out-of-season mating dance by a Sarus Crane pair; the love they expressed for each other was – you guessed it – magical! I also visited nearby Chambal on a day-trip, finally seeing the region’s infamous ravines, the Chambal River, toothy Gharials, and the endangered Indian Skimmers. Jaipur fell into place by accident, when I decided to fly in and out of the city while visiting Ranthambore and Bharatpur. 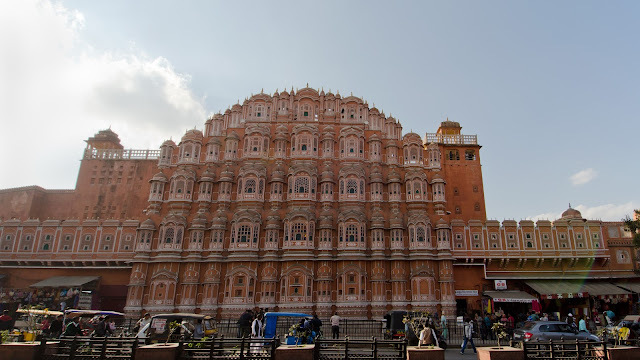 Never one to miss chances like these, I decided to spend a day in Jaipur, for my first taste of the city which had been on my wish-list ever since I was enamoured by a cut-out of the Hawa Mahal as a child. A day is way too short for a holiday, but I thoroughly enjoyed ambling around the old city’s vibrant bazaars and monuments, gorging on local delicacies which my host had painstakingly listed for me. And of course, I fell in love with Hawa Mahal all over again. When a friend announced that her wedding would be in Kolkata, I lost no time in planning an extended trip to the ‘City of Joy’. With a little over two days at hand for enjoying the city, I splurged to stay at the Oberoi, in the heart of Kolkata, with all the landmarks just a stone’s throw away. The city is immensely easy to negotiate by walking, using the metro, or the classic yellow taxis (my personal favourites), though my friends didn’t really share my enthusiasm for these slow and rickety behemoths. 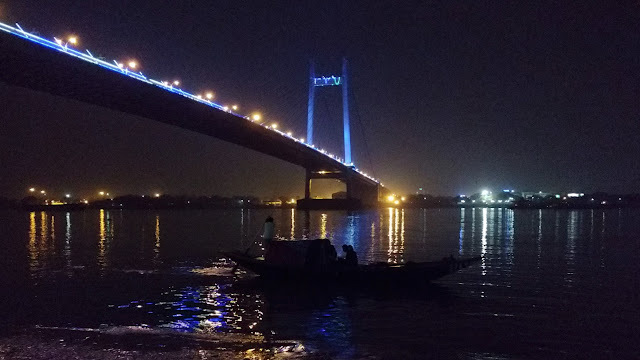 We visited some of Kolkata’s classic landmarks, enjoyed Park Street’s weekend vibe, ate ghoti gorom while walking along the ghats of the Hooghly River, and over-dosed on authentic Bengali mishti, which has spoiled any mishti outside of Bengal for us. Kolkata’s street food was a revelation: delicious, available at every corner of the city, and light on the wallet. I was grumpy during summer, due to my lack of travel plans because of having just recovered from a back injury. 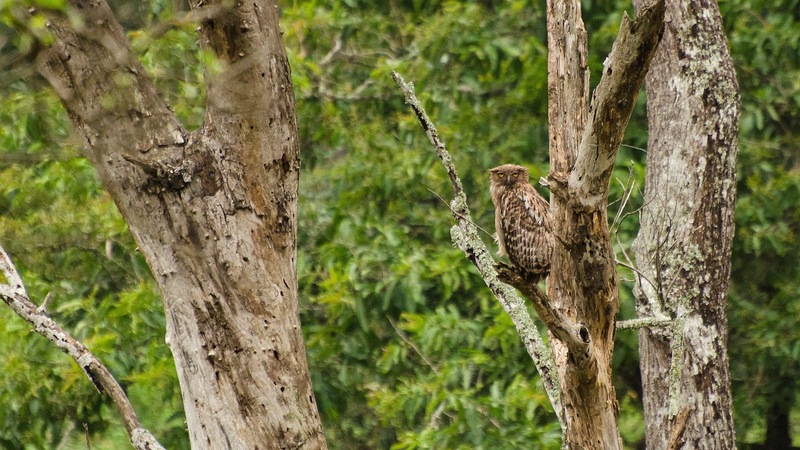 A sudden call from my wildlife mentor to travel to Sagar and Shimoga districts in the Malnad region had me bounding out of bed. With promises to my family that I would be extra cautious about my back, I set out on this four-day trip through lush forests and rolling hills, appreciating some lesser-known wildlife areas. 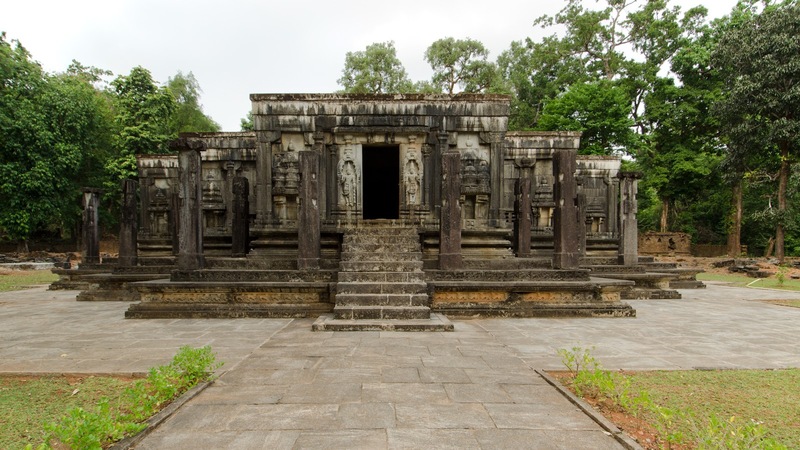 The beautiful Jain temple at Nagarabasti, surrounded by verdant vistas, was a find. It drizzled incessantly throughout the trip; however, the famed Jog Falls was bone-dry, much to my dismay! 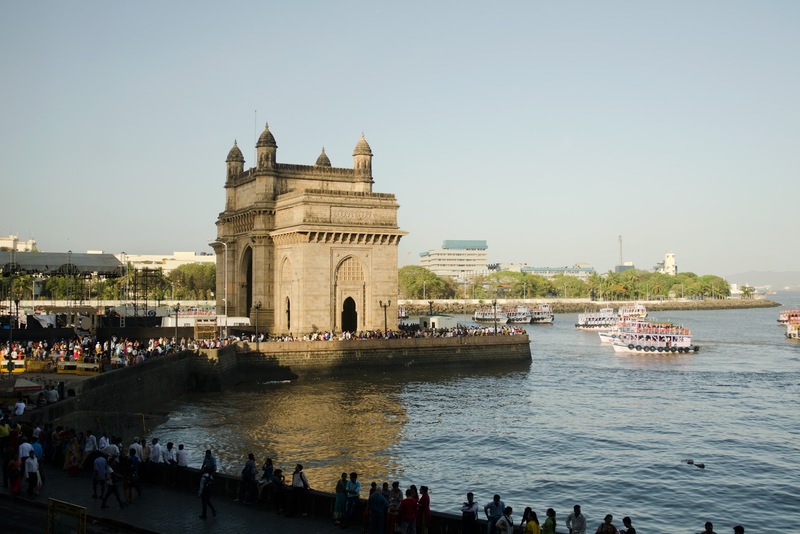 Home to me, but an intriguing metropolis to my husband, Mumbai (still Bombay to me) was a sudden trip in summer. What lured hubby and sealed the deal was the promise of Alphonso mangoes every day. I used this opportunity to walk around all my favourite hangouts in the city, with weary hubby trudging along in the muggy May heat. Exploring the Fort region to the CBD, Marine Drive to the Gateway of India, Juhu beach to Dadar, I relived my life as a Mumbaikar. Of course, how could food be far behind? Authentic Maharashtrian dishes, Irani restaurants, Gujarati food and Bambaiyya dishes, we savoured them all, washed down with copious cups of aamras and mango milkshakes. By the end of the holiday, my husband was a convert. 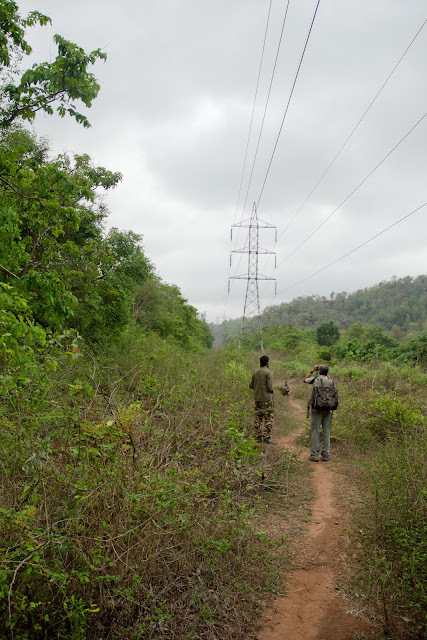 I’ve visited this forest many times, and the JLR property at K.Gudi is one of my favourites. Since my husband had never been there, we decided to take a short break mid-year. The probability of encountering elephants along the forest’s narrow, winding, hilly safari route always excites and scares me in equal measure. This trip, to add to our excitement was the cottage we had chosen to stay in – farthest from the other cottages, and where leopards are routinely sighted. One of our most memorable experiences was sitting in our stilted cottage’s balcony after 10 pm, in pitch darkness, surrounded by bats and fireflies, listening to frequent alarm calls and the rustling of leaves. Sometimes, the things you can only hear scare you more than the things you can see. For an architect, Chandigarh is something of a holy grail. When I planned my trip to Spiti Valley, I jumped at the opportunity to spend a day there. My impression of the city, garnered mostly from school textbooks and architecture books, now sprung alive. In just a few hours, Chandigarh bowled me over with its cleanliness, orderly traffic, soft-spoken people, and joie de vivre. 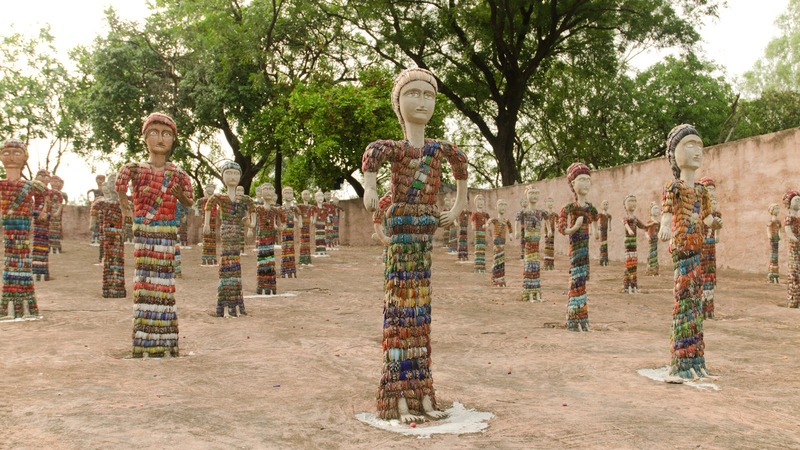 Nek Chand’s Rock Garden was a childhood dream come true, and every bit as crazy as I had imagined! Seated on the bund at Sukhna Lake, legs swinging over the edge, surrounded by locals enjoying the tranquility, I could see why Chandigarh’s residents love their city; I love it too! My trip to Spiti Valley was one of the highlights of the second half of the year, and I returned smitten by the beauty of the region, the stark landscapes, its ever-smiling people, their hospitality, and their simplicity of life. 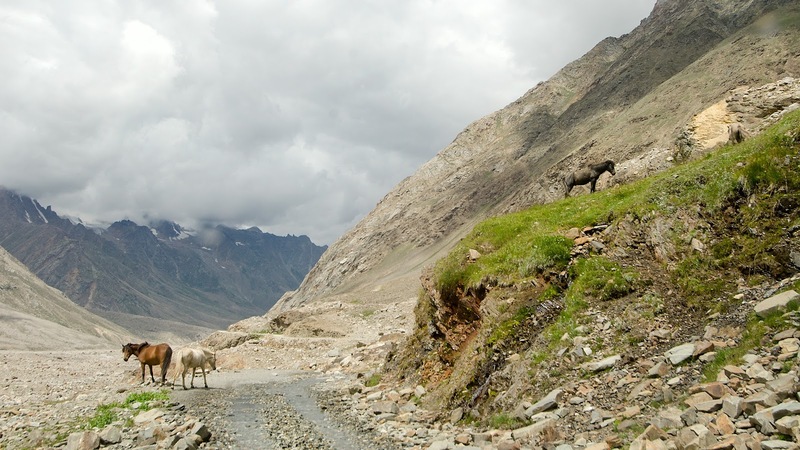 Spiti is raw nature at its best, and its worst; yet, the locals embrace everything as a part of life. Involving high-altitude travel on gravelly roads where traversing 200 kms takes 12 hours, the tranquility of Spiti’s tiny villages, the sparkling azure of its lakes, and the serenity of its monasteries are some of the many memories etched in my mind. Since my return, I remain deeply introspective. Hampi never ceases to surprise me, even on my third trip! Having seen some of the main monuments on a ‘fun only’ first trip with a bunch of friends, and Hampi’s and Daroji’s wildlife on my second trip, I was third time lucky. 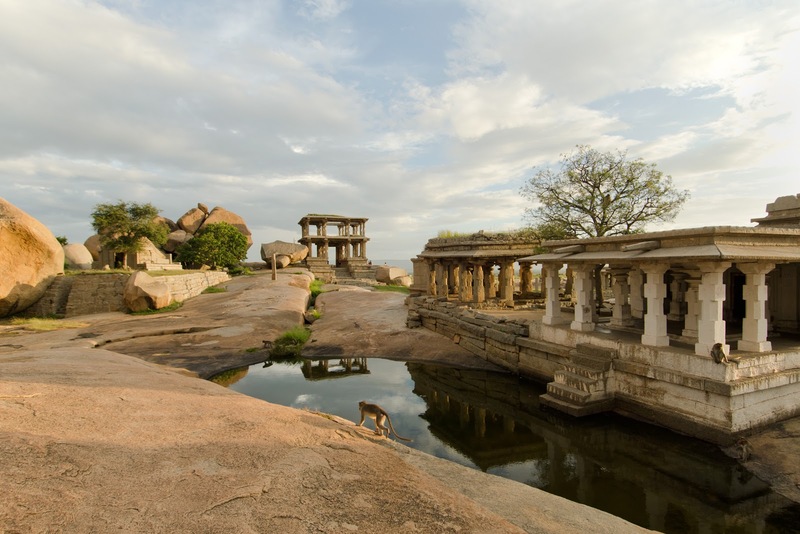 With an excellent guide and lovely accommodation in serene Anegundi, I brought in my birthday just the way I liked it – walking all day through the treasure hunt that is Hampi, stumbling across picturesque ruins, pristine banks of the Tungabhadra River, and negotiating through herds of goats. Hampi’s scale is staggering, and this is the closest I have come to feeling like Indiana Jones. Hampi’s vast expanse also meant that in spite of the Dusshera holiday crowds, I always managed to find a quiet spot for myself. Published in the August 2016 edition of Discover India magazine, as 'The Big Misty'. The fireplace crackled, spewing out untamed flames, and sparks that spat into the room like energetic fireflies. I smiled and sank deeper into my easy-chair, cupping a bowl of hot soup. I was enjoying every bit of the cold weather, having arrived here from the scorching plains. 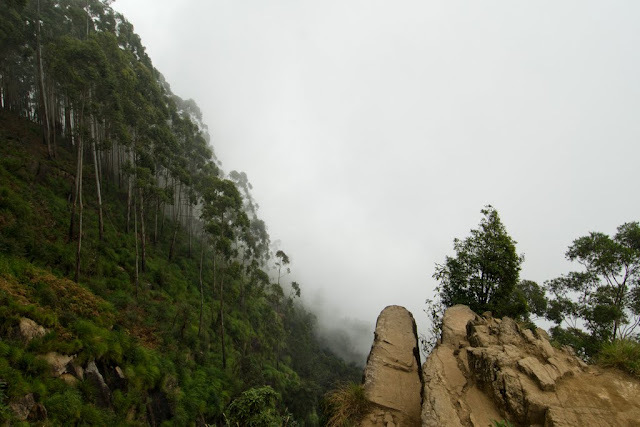 Just a few relaxing hours in Kodaikanal had afflicted me with a languor that was quickly becoming second nature. As my hosts spoke animatedly about life in Kodaikanal, their favourite long walks, secret nooks, and scenic views, it became abundantly clear that I had a battle on my hands to shake off my slothfulness, if I wanted to explore Kodaikanal. Sepia-tinted photographs and meticulous black-and-white sketches from the 1800s, dotted all over my hosts’ living room, enticed me with the promise of pristine landscapes, fleet-footed Nilgiri Tahrs and Sambar deer in grasslands, and humungous Gaurs surprising me at road bends. As a compulsive nostalgia seeker, the thought of attempting to experience 19th century Kodaikanal immediately caught my fancy, and soon, I was consumed by the idea. So I pored over the photographs and sketches, noted details, and armed myself with directions and tips from my hosts, to help me recreate the memories held by these images. The next morning, I forced myself out of the snug comfort of my quilt, only to be greeted by the croaking of cicadas. When I left at 6 am, there was barely enough light to discern and open the padlock on the property’s gate, while simultaneously trying to prevent their resident pet from running out with me. 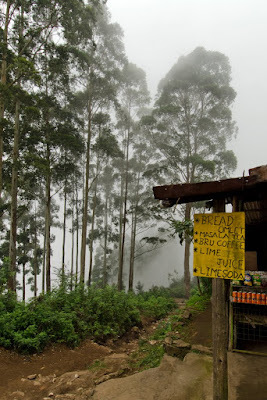 Kodaikanal had not yet awoken from its slumber, except for a dimly-lit tea shack from which wisps of smoke emanated. 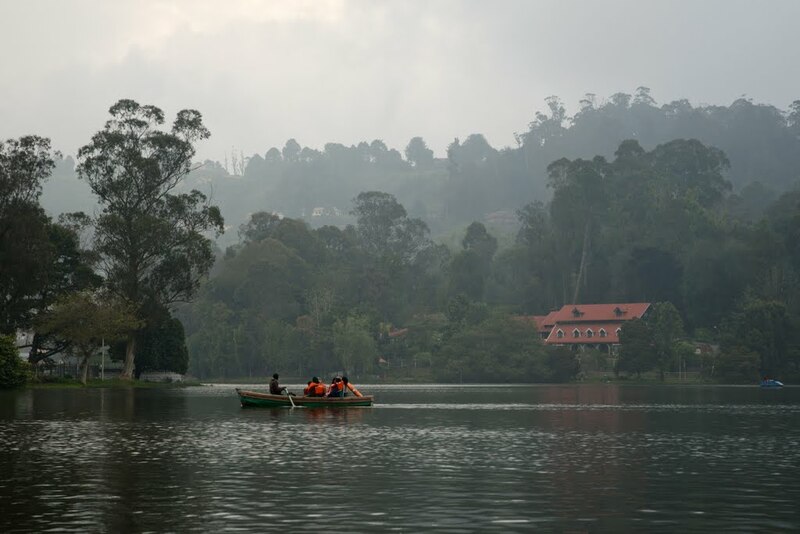 From its viewpoint, Kodaikanal Lake was seen shrouded in mist, which had coagulated over the water like gigantic, unruly candy floss. 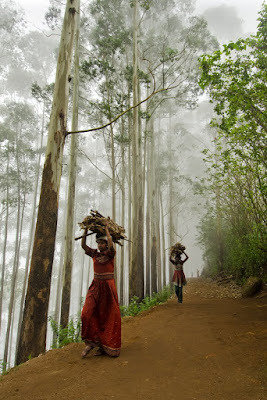 All around, trees emerged, many of them distinctly pine and eucalyptus. 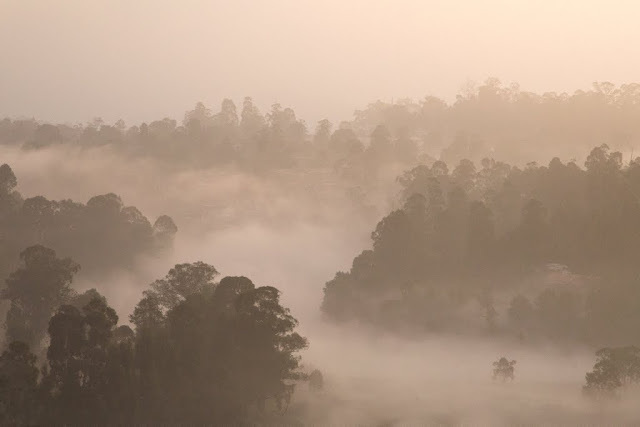 The sunrise vista was like watching film slowly develop in a dark-room: monochromatic at first, segueing from pastel pink to sepia, with the other colours choosing to reveal themselves only an hour later, as I drove back past the viewpoint. The lake’s shape as seen from here corresponds exactly to its 19th century photograph. 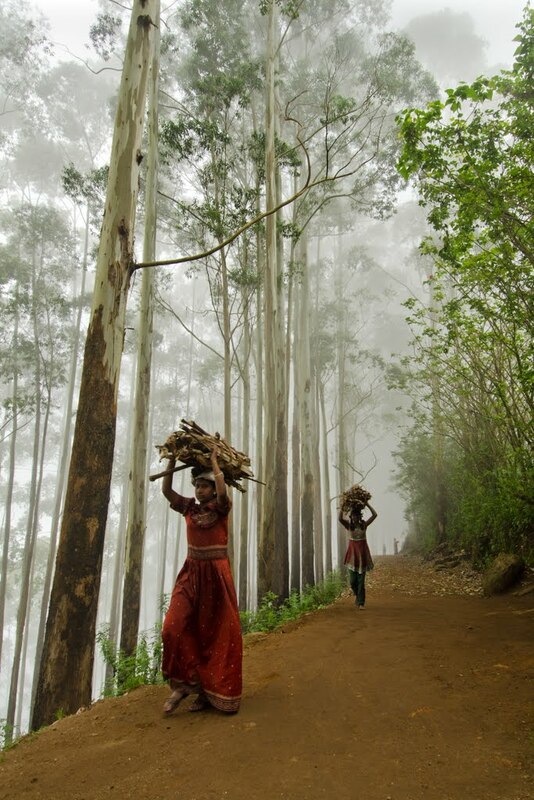 Not much has changed in the view, barring low roofs of Kodaikanal town peeking out from between layers of trees. Pillar Rocks lay at the end of a long, winding drive from the lake’s viewpoint; save for a couple of houses, the road was deserted. Crepuscular rays streamed in through thickets of trees, from which I heard langurs swinging. I was shaken out of my reverie by the appearance of a barricade - the road hadn’t yet been opened to vehicles for the day. I approached Pillar Rocks on foot, with heightened anticipation. 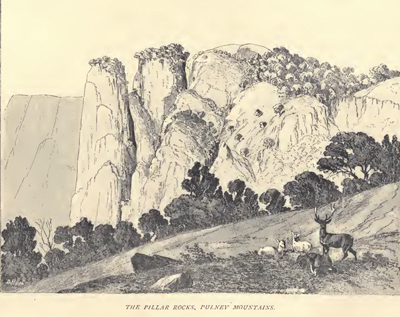 Pillar Rocks sketch by Douglas Hamilton, 1862. The two separate pillar-like rocks from the sketch now stood a little less distinctly, the 150 years that had elapsed having allowed plants to grow over the rocks, reducing the gap between them. The grasslands of yore were also overgrown. There were no gambolling Tahrs or Sambar, and the metal railing all around the viewpoint kept threatening to make my time-travel difficult. The valley, however, lived up to its promise of being mist-filled, revealing parts of the escarpment of the Palani Hills on which Kodaikanal is situated. A howling, bone-rattling wind made my jacket and gloves redundant, but helped clear the clouds; the sky then turned a picture-postcard blue and gifted me the sight of Pillar Rocks crowned by the setting moon. 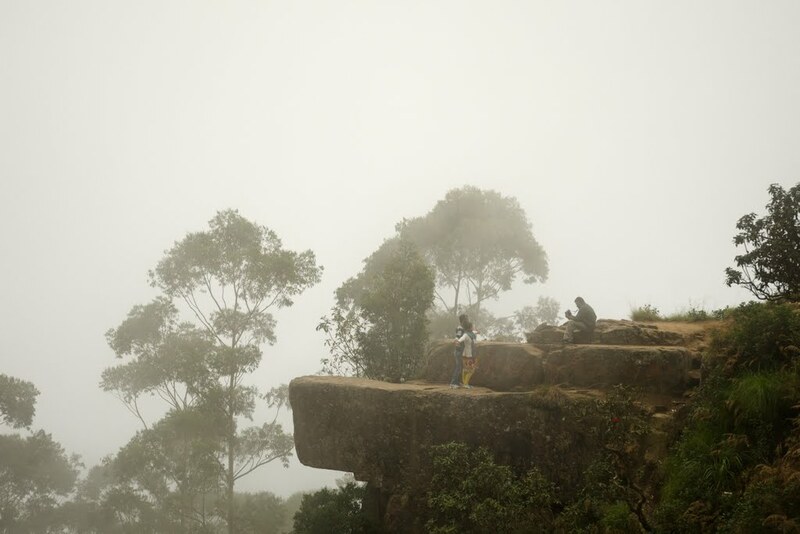 When I said gifted, I meant it – just a few hours later, eager visitors to Pillar Rocks saw nothing, as fog hid the rocks until the next sunrise. My hosts had been right in egging me on to leave before dawn. Enthused by how my morning had panned out, I was less averse to exploring ‘modern’ Kodaikanal and decided to see the picturesque lake up-close. 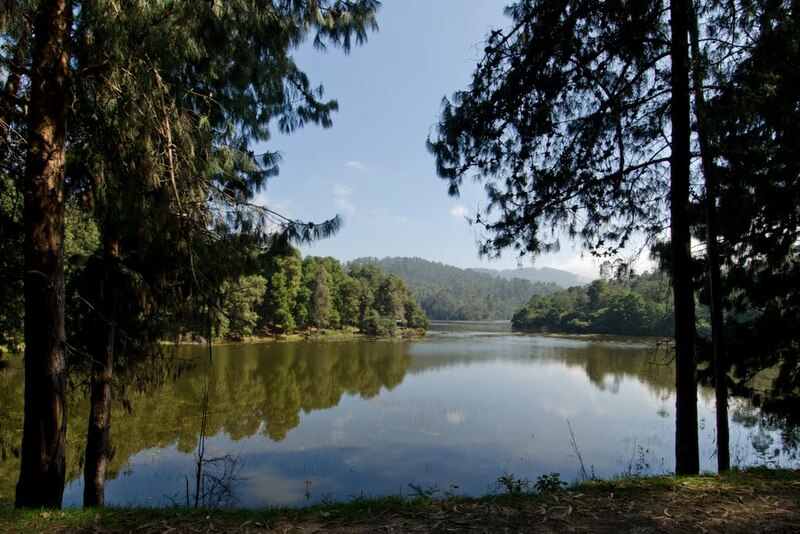 The lake is the focal point of life in Kodaikanal, for residents and visitors alike. With restricted vehicular movement on the road encircling the lake, it comes alive with cyclists whizzing past, people chatting, residents jogging, and couples enjoying quiet strolls. With the lake on one side and many palatial heritage buildings lining the other, the lake road exudes an old-world charm. The sight of bicycles brought out the child in me and I spent a greater part of the afternoon giggling over our clumsy tandem-bike riding skills, while resolutely cycling around the lake. 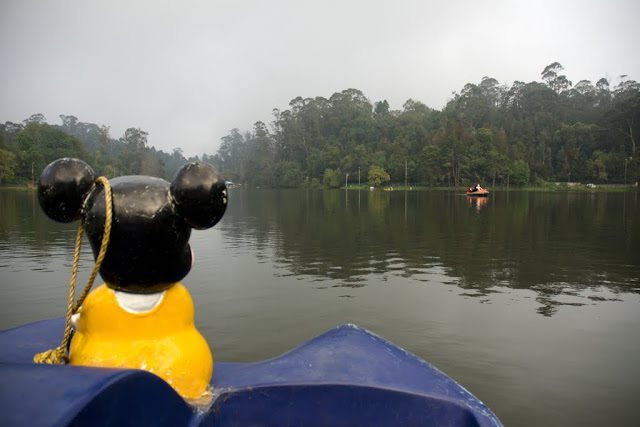 To perhaps continue kindling the child in you, the boat clubs have ensured that most pedal-boats have gigantic cartoon characters built on them. With Mickey Mouse for company, I pedalled across the lake to one of its quieter arms. 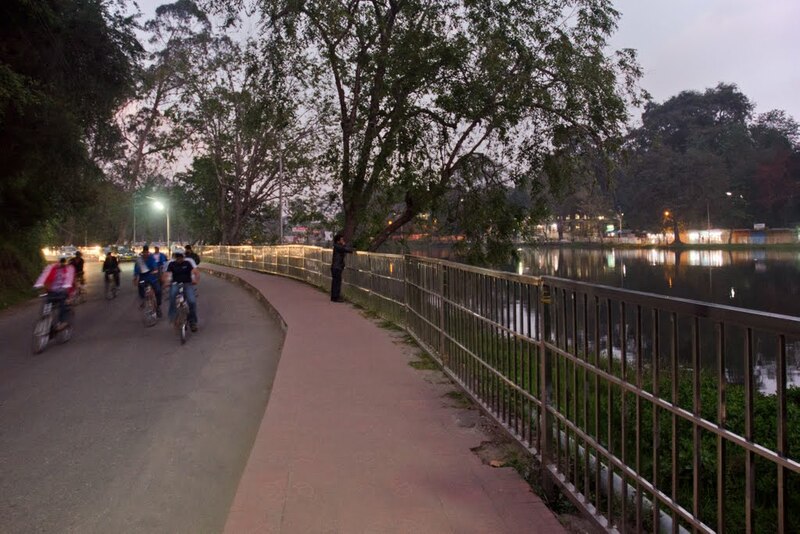 Families had turned up in droves to enjoy the pleasant evening; in spite of the crowd, the large size of the lake allowed me to have a piece of Kodaikanal to myself. 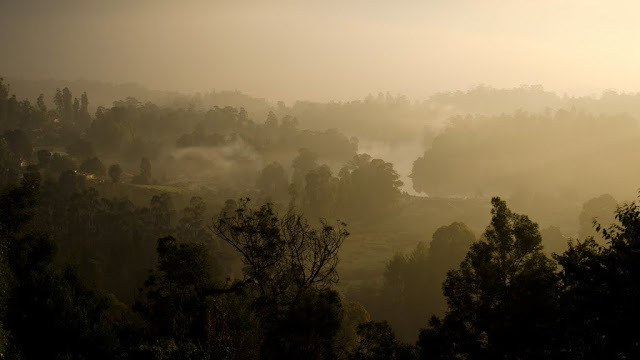 And I had to admit - the Kodaikanal of today had provided me with as much excitement and relaxation as the Kodaikanal of the past. That didn’t stop me from resuming my pursuance of the next black-and-white photograph, though. Dolphin’s Nose, so named because of the shape of the rock overhanging the valley, promised an interesting trek, and I decided to undertake it early the next day. The narrow trail took me past bustling hutments, cheap lodges with bewildering Hebrew signage, refreshment stalls, and locals gathering firewood, before meandering through trees and losing all sight of habitation. Which is why, it startled me to hear a voice behind me say “photo, madam?” barely ten minutes after I sat near the edge, lost in quiet contemplation. 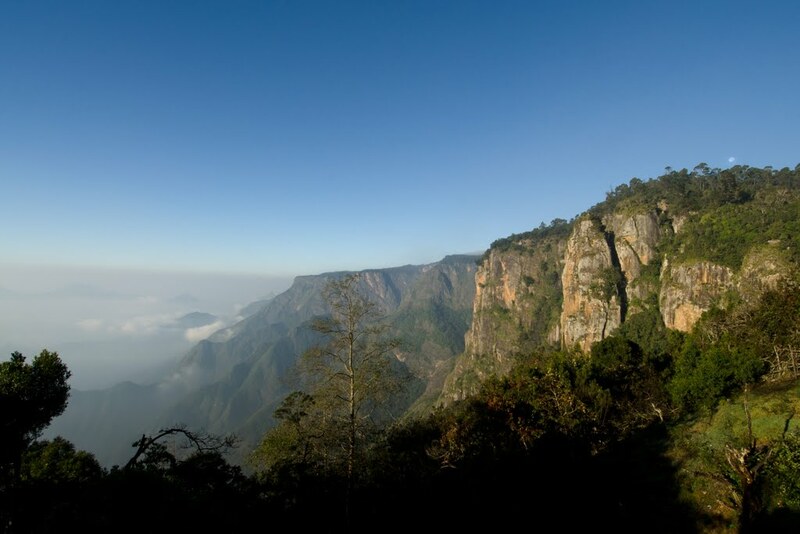 Once an Enid Blyton-esque picnic spot for Kodaikanal’s residents, Dolphin’s Nose now attracts many visitors who enjoy posing in the ‘Titanic pose’ at the very edge. A few enterprising photographers not only orchestrate photogenic poses, but are also equipped with instant printers to give you copies within minutes. Upon my refusal, the photographer too sat down to admire the view. Coaxed by him into experiencing the feeling of sitting at the actual end, I slowly overcame my fear and swung my legs over the edge, hands gripping the ground next to me for dear life. Though decades had elapsed since my reference colonial era photo had been taken, Dolphin’s Nose still felt like the end of the world. If Dolphin’s Nose whetted my appetite for more solitude, Berijam Lake surpassed it. With highly restricted access to the lake, you are almost guaranteed to be the sole individual there if you time it right. The long drive to the lake passes through precariously surviving shola-grasslands; I was pleased because it increased my chances of spotting wildlife, if not the elusive Tahrs. Mist engulfed the road for quite some time, considerately lifting at just the right viewpoints. Berijam Lake sat in the valley like the grand prize at the end of a journey. To stroll and sit at the water’s edge, surrounded by hillocks and dense clusters of conifers, with no sign of ‘civilisation’ in sight, made it the perfect end to my quest for nostalgia. Driving back from Berijam Lake, lamenting that it was time for me to leave Kodaikanal, I passed the golf course. Despite being mid-day, mist rolled over its gentle undulations, even as a lone golfer persistently played his game. 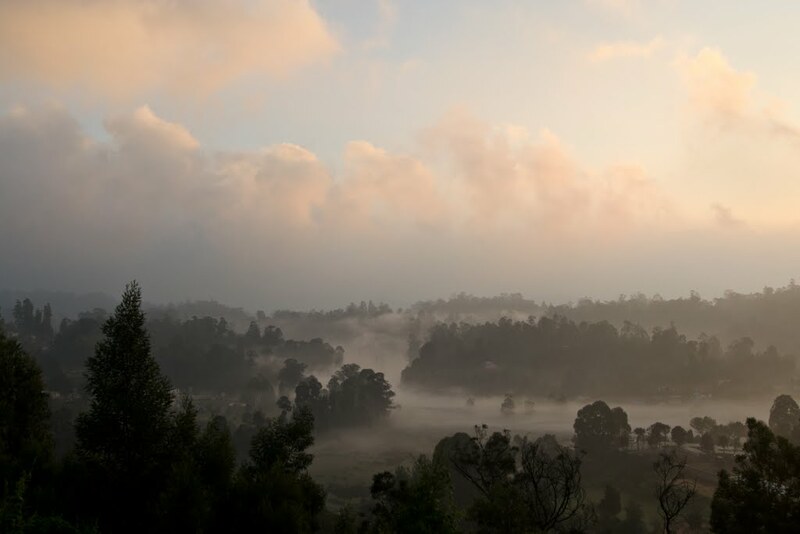 That is when it dawned on me - the 19th century still existed in Kodaikanal: in its pristine landscapes, its capacity to offer solitude, and its flair for surprising you. 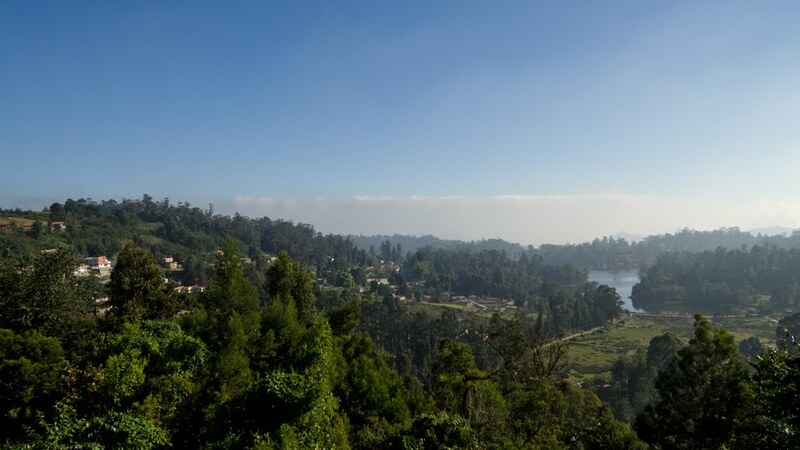 And then, almost as if to chide that obsessing about the past wasn’t healthy, Kodaikanal drops a misty curtain on it all, nudging visitors to experience its present – its people, its lake, and its activities. 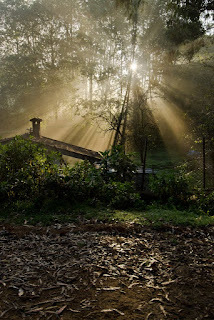 I realised that Kodaikanal morphs into what you seek from it.